1. How can we describe the term Tibetan community? 2. What do we mean by a strong Tibetan community? 3. 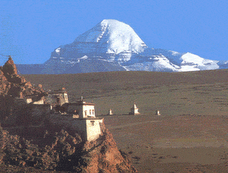 What is the nature of the present Tibetan community? 4. Why the compelling need to strengthen the community? And how can we go about it? The term Tibetan community is hard to define. But it seems the term gained its relevance after China occupied Tibet. In other words, the term would not have gained so much bearing has we been in Tibet, as citizens of a free country. Therefore, broadly speaking the term refers to Tibetans living under China as subjugated subjects and Tibetans in exile, living as refugees, but bonded together with a common desire to keep alive its unique characteristics - the Tibetanness. Secondly, what is a strong community? Loosely speaking, Tibetan people throughout the world have acquired a certain image. Outsiders consider us as good and honest people, kind and compassionate, tolerant and pacific people. To a large extend this image is based on the values we cherish. We are also proud and happily satisfied with this image. However, an important question is do these values make a community strong? I leave this for you all to answer. From another perspective, a strong community is one that purposefully contributes to the society. At the same time, it also means such a community should be in a position to take advantage of opportunities and benefits provided to its members. We will definitely be a strong community if Tibetans under the Chinese, who are treated as second-class citizens, and Tibetans in exile, as refugees or immigrants, constructively contribute to their respective societies and at the same time they are in position to take advantage of the opportunities and benefits available in such societies. If not, then there is a problem that we all need to address. It is difficult for me to describe the real nature of the Tibetan Community. For the purpose of today’s discussion I would like to point out at least two aspects of the nature of our community. Tibetans in Tibet are struggling for respect and freedom and Tibetans in exile are in the process of seeking identity and security. To achieve these objectives, Tibetans are in the process of adapting changing circumstances and time. This very process of adaptation seems to be the main cause for weakening the strength of the Tibetan community. When China captured Tibet in 1959, the initial concern of our community was to ensure survival of the spirit of Tibetanness with an objective of reinstating Tibet as a free and sovereign nation. Slowly the political objective of the community changed from non-compromising demand for a free Tibet to a more acceptable demand for peaceful co-existence with the Chinese people. But the desire to preserve the spirit of Tibetanness persisted in spite of modifications in the political objectives. The fact that today we are here to talk about strengthening the Tibetan community and, most importantly, the fact that Tibetans under the oppressive Chinese rule took out our national flag during the March protest proves that we, for the past 50 years, have succeeded to keep alive our spirit of Tibetanness. Secondly, it is the sense of cohesiveness that has undergone a drastic change. As I mentioned above Tibetans, inside Tibet as well as in exile, are trying to adapt to changing circumstances and time. This process of adaptation is not easy for many of us. The younger generation especially is going through a more difficult and critical phase of our history. Difficult because challenges during the last decade has increased many fold. Massive influx of Chinese people into Tibet has turned us into a minority in our own land. On the other hand, Tibetan community in exile is slowly disintegrating because we are now increasingly dispersed amongst various cities around the world. The widespread dispersal of Tibetans around the globe has to a large extent led to loss of sense of cohesiveness that existed particularly in India and Nepal at the beginning of our exiled life. The loosening of sense of cohesiveness among the Tibetan people in exile is greatly impacting the strength of the community. I do not have much knowledge about how Tibetans in Tibet are adapting to the increasing influx of Chinese settlers. Nevertheless, one development that is taking place there is very clear to us. Tibetans under China are sidelined in almost every aspect of life. In exile, the younger generation is leaving the settlements for cities in India and abroad in search of a better livelihood. For many of them it is not easy. During the first GTPN meeting, Empowering the Vision presented us with statistics of a survey conducted regarding various occupations of Tibetans living in Delhi. More than 70 per cent of those surveyed were found engaged in occupations which will give them bare minimum to survive in a big metropolis like Delhi. A decent living accommodation of their own, a manageable education facility for their children and, above all, affordable health care in case of any major illness will always remain a difficult challenge for these people. Rest 30% people are either doing well or engaged in more comfortable occupation. For them also the challenge seems to be the availability of options for further progress in life. Although some Tibetans may be considered successful by our standard, they are a non-entity, economically and professionally, in a prosperous country like India. Same is the case abroad. The economic and living conditions of most of Tibetans in USA and Canada are also on a similar pattern that is prevalent in Delhi. Of course, there are many successful Tibetans living in these countries. Yet most of them who have migrated to these countries lack experience, knowledge and skills needed there to get more paying jobs. Most of them are engaged in labour-oriented jobs. Wages for such jobs are always around the minimum wage limits. Since income is limited, I have observed that many of our brothers and sisters in these countries live in areas where housing is cheap and affordable. Where housing is cheap educations facilities are not very conducive for proper upbringing of children. Where academic environment is not conducive for positive development of human personality, many children get sucked into prevailing social problems namely drug and alcohol addiction, and law and order issues, academic dropouts, etc. I have heard of several instances of these problems faced by young Tibetans living in areas like New York, Boston, Minnesota, Toronto, etc. Because of these new challenges it has now become very a critical moment for all of us to find out ways not only to keep alive our spirit of Tibetanness but also to take it to the next level. If we fail to build ourselves into a strong community, bonded together by a common desire to help and support each, we may eventually lose our own character and image. If we fail to visualise the consequences this looming danger, like many other minorities in the world, Tibetans will also live on the sidelines of the majority. Tibetan population throughout the world, as per Tibetan Govt in exile records, is six million. This figure is so insignificant a number amongst six-and-a-half-billion people in the world for us to survive even as a fragmented minority. Marginalisation of a particular community means that they are neither able to purposefully contribute to the society nor they are able to take full advantage of opportunities and benefits provided by the society. How and who can do it? Natural science teaches us the basic lessons for survival - the fittest one survives. For Tibetans to survive, we need to make ourselves fit. Our fitness will come from strength and strength for us will come from our ability as a community to rub shoulders with the world. I strongly believe that this strength will rise if we all come together with a common passion to succeed not only as individual but, more importantly, as a community for the common good of all. There is a great need for the creation of a strong and vibrant network of Tibetan professionals who can weave together a dream for themselves as well as for the larger community. Through a vibrant network of Tibetan professionals, based on mutual cooperation and support system, they can not only consolidate their own strengths and successes, the same network can uplift the weak and needy fellow Tibetans. Through a network Tibetans can create opportunities for each other. Through network Tibetans can face challenges together and share the fruits of success together. Through cooperation, collaboration, joint ventures, Tibetan professionals can consolidate and expand their success. It is my dream, hopefully yours too, to one day become part of such a community that will have the respect, credibility and power to shape our common destiny. About the Author: Mr. Kunsang Tanzin is presently a Trustee of ENVISION and a board member of Aribodh, the American Foundation for the Preservation of Tibetan Culture in California, U.S.A. He is also an Advisor to W.S. Tibetan Chamber of Commerce based in New Delhi. This page has been read 745 times.